premier art studio for toddlers, teens and adults, since 2005.
offering programs and parties for artists of all ages! artists bring a grown-up along to paint, collage, and enjoy creative fun together! spring 2019: $475.00 (or two payments: $275.00 and $200.00); 19 weeks: january 8 – may 24, 2019.
semester registration bonus: semester tuition includes class and 1/2-hour of open studio creative fun each week. tuition is on-going and is prorated throughout the semester. tuesday – thursday: 9:30-10:00am, 10:00am-10:30am; 11:00am-11:30am; 3:30-4:00pm, 4:00-4:30pm, 5:00-5:30pm. we know babies and toddlers love to paint with friends too! 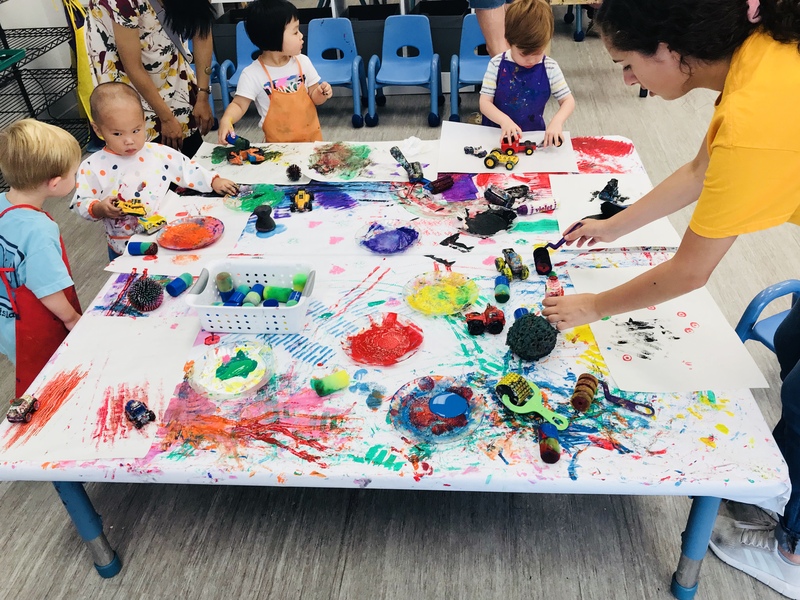 our toddler time is designed for babies and toddlers to come paint with their friends and use our collection of trucks, rollers and brushes and fun collection of bright colors! we have fun and simple collage projects for them to enjoy as well. artists up to age 3, must have an adult stay with them in our studio. tuesday through friday, 9:00am – 12:00pm, through may 24th. enjoy creative fun and discounted pop-in pricing, $10.00 per hour of creative fun! tuesday – friday: 9:00am – 5:30pm; saturday: 9:00am – 1:00pm, through may 24th, except between march 11th and 15th. $15.00 per hour per artist, except during toddler time and cookies & crafts. join us saturday, march 9th, 10:00am-12:00pm. reservations are not required. 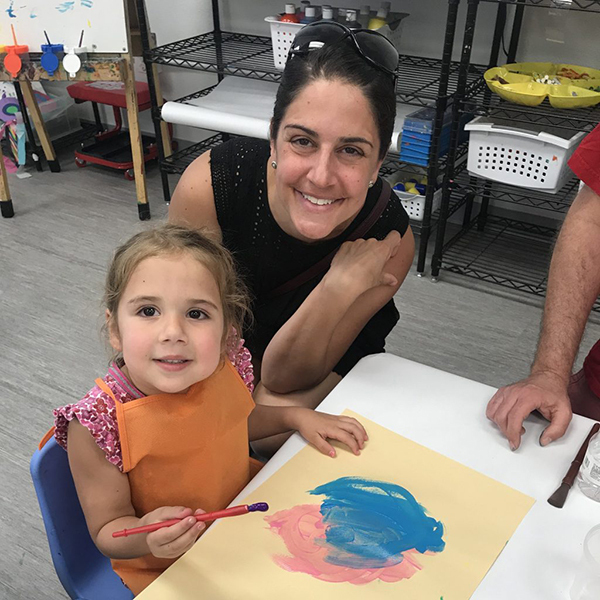 $15.00 for up to two hours of creative fun and cookie decorating for artists under age 3.
pop-in play groups: 10 months up to age 6.
would you like to enjoy open studio time with your playgroup? leave the planning to us! we will set up studio space for you and your friends, with a collection of 3-4 themed centers, including: painting, collage and beading. one of our teachers will be on hand to assist your group with their art activities and to fill your art bags with all of your masterpieces. you are welcome to provide nut-free snacks and beverages for your group. each child will go home with a colorful collection of crafts, having had a whole lot of creative fun! a $100.00 non-refundable party planning fee, which goes towards the price of the pop-in playgroup. there is a $30 charge per child for 2 hours of creative fun. pop-in playgroups may be scheduled tuesday – friday, between 9:00am and 5:30pm, and on saturdays, between 9:30am and 6:00pm. artmix offers two different options for parties for our littlest artists. party hosts have the choice of having a “centers party” with three art centers, including painting and simple collage projects, or a canvas painting, based on a them. we welcome hosts to come into our studio to choose from our projects including: under the sea, sparkly butterflies, dinosaurs on the prowl, outer space and more! each party guest will take home all of their crafts and masterpieces to enjoy. 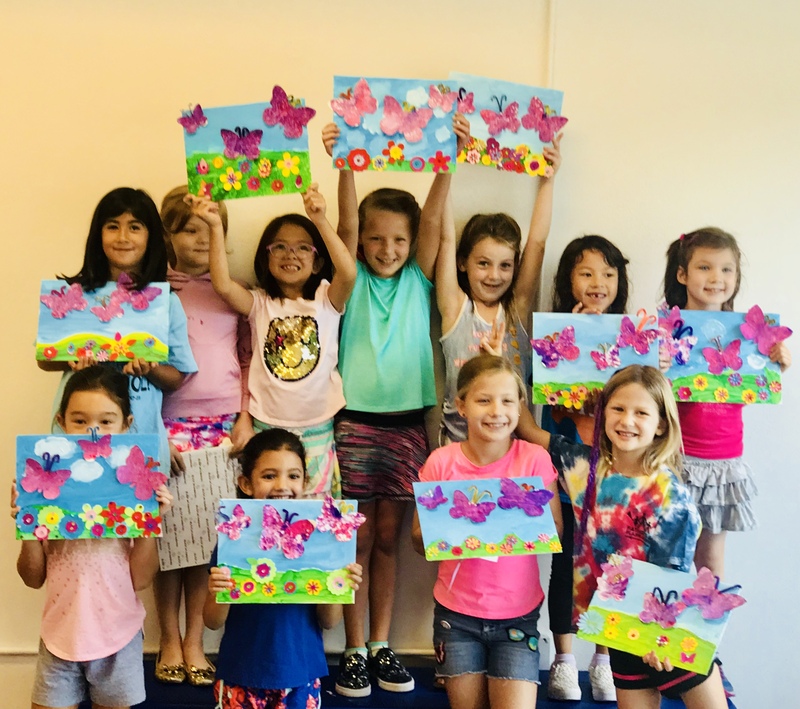 students will enjoy skill building and creative fun each day in camp, as they draw, paint and sculpt, and make masterpieces inspired by artists from around the world each day! we feature a new destination and projects in daycamp and spring break camps, and each week in summer camp. spring break camp 2019: week 1 is now full. 2 art-filled weeks, march 11-15 (full) and 18-22nd, 2019. registration is online and is underway! we will make masterpieces inspired by some of the greatest vacation destinations in the world! 15 art-filled weeks, may 28 – august 30, 2019. details to be announced january 15, 2019. registration opens february 1, 2019. 1 hour class. artists will build their creative skills and make masterpieces inspired by a new destination each week in class. we will travel from maine to south america, morrocco to iceland, and more! semester registration bonus: semester tuition includes class and 1-hour of open studio creative time each week. tuition is on-going and is prorated throughout the semester. spring class schedule: tuesday – saturday: 10:00am-11:00am; tuesday – thursday: 3:30pm – 4:30pm, and 4:30-5:30pm. spring semester is underway. please call us to register: 713.552.9028. 12:00-2:00pm: lunch workshop is offered during the fall and spring semesters. children are welcome to bring and have their (nut-free) lunch at 12:00pm and creative fun in our open studios until class begins at 12:30pm. artists will build their creative skills and make masterpieces inspired by a new destination each week in class. we will travel from maine to south america, morrocco to iceland, and more! 19 weeks: january 8 – may 24, 2019. workshops are offered tuesday – friday: 12:00-2:00pm. $760.00 (or two payments: $400.00 and $360.00). lunch workshop plus, 12:00pm – 3:00pm. join us for lunch workshop from 12:00-2:00pm, and stay for one hour of creative fun in our open studios, from 2:00-3:00pm. $65.00 per workshop, and is offered tuesday – friday: 12:00pm-3:00pm. spring semester is underway. please call us to register: 713.552.9028! tuition is prorated throughout the semester. afternoon workshop: 1½ hour class. artists will build their creative skills and learn new techniques in drawing, painting, sculpting, and mixed media. students are placed in workshops with their same-aged peers. artists will make masterpieces inspired by a new destination each week in class. we will travel from maine to south america, morrocco to iceland, and more! friday workshops: join us on friday from 4:00-6:00pm for our afternoon workshops! we will feature a different project every friday. age groups ranging from 7 to 15 years. saturday clay workshop: join us on saturday, january 12th, from 10:00am-12:00pm for our clay workshop with our wonderful clay artist and teacher, liliana franz. students will be guided through the step-by-step process of making a beautiful under the sea masterpiece. all supplies and a wood frame are included. artists ages 7 to 15 years. registration is required. register today! spring 2019: 19 weeks: january 8 – may 24, 2019. tuition: $760.00 (or two payments: $400.00 and $360.00). 4:15pm-5:45pm. semester registration bonus: semester tuition includes class and 1 hour of open studio creative time each week! spring semester is underway. please call us to register: 713.552.9028. tuition is on-going and is prorated throughout the semester. tuesday – friday: 9:00am – 5:30pm; saturday: 9:00am – 1:00pm, through may 24th, except during our march spring break camps. cost: $20.00 per hour per artist, except during cookies & crafts. join us saturday, march 9, 10:00am-12:00pm. reservations are not required. cost: $20.00 per artist for up to two hours of creative fun and cookie decorating for artists ages 3 and up. would you like to enjoy open studio time with your playgroup? leave the planning to us! we will set up studio space for you and your friends, with a collection of 3-4 themed centers, including: painting, collage and beading. one of our teachers will be on hand to assist your group with their art activities and to fill your art bags with all of your masterpieces. you are welcome to provide nut-free snacks and beverages for your group. each child will go home with a colorful collection of crafts, having had a whole lot of creative fun! cost: a $100.00 non-refundable party planning fee, which goes towards the price of the pop-in playgroup. there is a $30 charge per child for 2 hours of creative fun. pop-in playgroups may be scheduled tuesday – friday, between 9:00am and 5:30pm, and on saturday, between 9:30am and 6:00pm. clay workshops: artmix is happy to welcome you to our studio to make colorful and creative masterpieces with our wonderful modeling clay artist, liliana frantz. please check our calendar for our saturday clay workshops. our next clay workshop will be saturday, march 9th, from 10:00am-12:00pm, for artists ages 6 and up. liliana will feature a new project each workshop based on a new theme. $45.00 per artist and includes all of the clay and a frame for each masterpiece. registration is available online and closes at 5:00pm the night before the scheduled workshop. artmix offers private lessons for students who would like to have one on one instruction with one of our teachers to further develop their drawing and painting skills. students are welcome to sign up for as many sessions as they would like. we offer one-hour sessions for $60.00 and 1 1/2 hour sessions for $85.00. we also offer semi-private lessons for two students for $90.00 per session. private lessons may be scheduled tuesday through saturday, for artists of all ages and abilities. please call us to schedule your private lessons today! 713.552.9028, or email us: contact@artmixlearning.com. 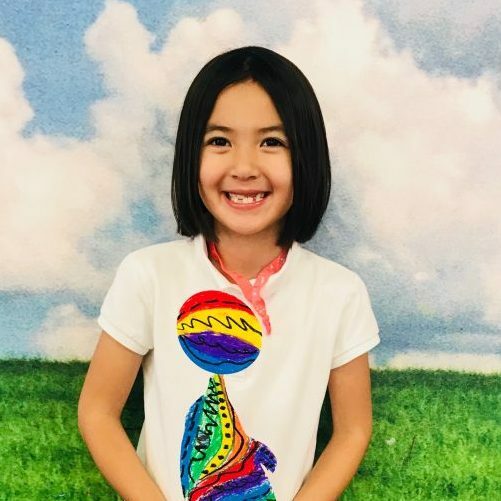 artmix welcomes home schooled students to join us for skill building, creative fun in all of our classes, workshops, camps, private lessons, and for open studio time. 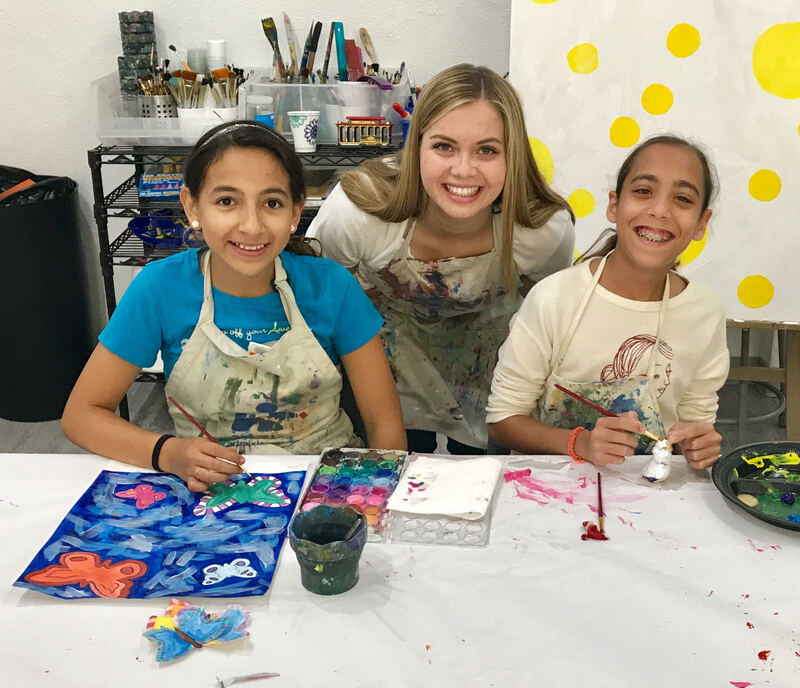 please call us if you would like to set up a group class for your students on a weekly or monthly basis, 713.552.9028.
have a wonderful time painting a masterpiece on a canvas board that they will take home to enjoy! hosts to come into our studio to choose from our large collection of paintings inspired by artists from around the world, as well as other themes. parties may be planned for two-hours, during our regular business hours, between 9:30am and 6:00pm on fridays and saturdays. a $100.00 non-refundable party planning fee is required, plus $30.00 per participating artist. a $100.00 non-refundable, party planning fee is required to reserve your party date and time, and goes towards the cost of your event, and $30.00 per artist guest fee. 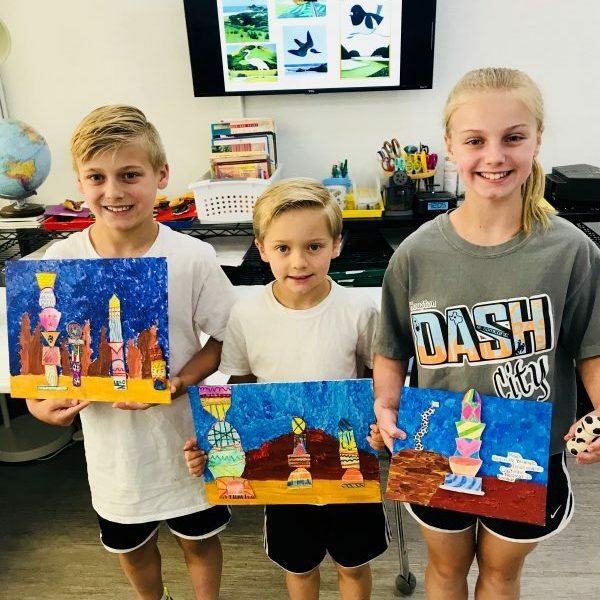 students will enjoy creative, skill building fun, as they draw, paint and sculpt, and make masterpieces inspired by artists from around the world each day! we feature a new destination and projects each day in daycamp and spring break camps, and each week in summer camp. 15 art-filled weeks, may 28 – august 30, 2019. details to be announced january 1, 2019. registration opens february 1, 2019.
saturday workshops: join us on saturday, january 12th, from 10:00am-12:00pm for our clay workshop with our wonderful clay artist and teacher, liliana franz. students will be guided through the step-by-step process of making a beautiful under the sea masterpiece. all supplies and a wood frame are included. artists ages 7 to 15 years. registration is required. register today! spring 2019: 19 weeks: january 7 – may 24, 2019. tuition: $760.00 (or two payments: $400.00 and $360.00). 4:15pm-5:45pm. spring semester is underway. please call us to register: 713.552.9028! tuition is on-going and is prorated throughout the semester. artmix offers private lessons for students who would like to have one on one instruction with one of our teachers to further develop their drawing and painting skills. students are welcome to sign up for as many sessions as they would like. we offer one-hour sessions for $60.00 and 1 1/2 hour sessions for $85.00. private lessons may be scheduled tuesday through saturday, for artists of all ages and abilities. tuesday – friday: 9:00am – 5:30pm; saturday: 9:00am – 1:00pm, through december 21st. cost: $20.00 per hour per artist, except during cookies & crafts. join us saturday, march 9th, 10:00am-12:00pm. reservations are not required. cost: $20.00 per artist for up to two hours of creative fun and cookie decorating. artmix is happy to welcome you to our studio to make colorful and creative masterpieces with our wonderful modeling clay artist, liliana frantz. please check our calendar for our saturday clay workshops. our next clay workshop will be saturday, february 9th, from 10:00am-12:00pm, for artists ages 6 and up. liliana will feature a new project each workshop based on the season, the holiday, animals and more! paint & wine parties: creative fun for artists ages 21 and up! 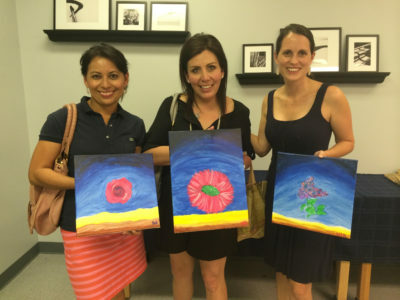 our paint & wine events are great fun for everyone who loves to paint, getting friends together for a fun day or night out, girls’ night out, fun couple time and more! artmix studio is the perfect place to bring friends and enjoy painting a masterpiece inspired by an artist from around the world. our teachers will guide everyone through the process of making a unique masterpiece to cherish! everyone is welcome to bring wine & snacks to enjoy while they paint. guests will make a masterpiece on a 12×12″ wrapped canvas, using a color-filled palette of acrylic paint. join us in our open studio and paint an acrylic or watercolor paint masterpiece. draw with a collection of pencils, chalk, watercolor pencils and crayons, charcoal and more. our team will be on hand to give you the support and guidance you need to get started and enjoy relaxing creative time in our studio. join us in our studio to enjoy two hours of creative fun and relaxation! our teachers will guide you through the process of making a masterpiece inspired by a new artist each week. we will draw and paint with a variety of media. best of all, no experience is necessary for you to join us! january 9 – may 24th. wednesday: 9:30am-11:30am. please call to register. join our summer classes for artists ages 12 months and up. registration is ongoing throughout the semester. please call to register. students will make art inspired by a rich collection of artists from a new destination each week in camp. they will build their skills and learn new techniques in drawing, painting, sculpting, mixed media and collage. do you love to paint, draw, craft or do your own thing? pop-in to our open studios and make what you like. our team will set you up with supplies and ideas for creative fun! summer pop-in hours: saturdays, 9:00am-1:00pm. fall & spring pop-in hours: tuesday through friday: 9:00am-3:00pm; saturday: 9:00am-1:00pm. if you would like to enjoy creative fun after 3pm, please join our semester classes and workshops (by-the-day registration is available), or our school’s out and holiday daycamps!